Advocare offers high quality health and wellness products designed to maximize your exercise program, as well as simply feel better daily. 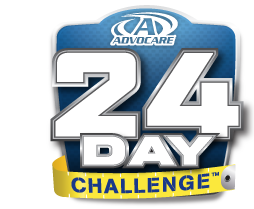 We are proud to work with Advocare and would welcome the opportunity to supplement your everyday health. As with any big gym, sometimes it’s impossible to know who’s running it. Our owners are at our locally owned and operated facilities every day of the week. If you ever have a question, you can deal with someone directly. In addition, we pride ourselves on maintaining our gyms and keeping them clean. Our staff has been with us for years, and love assisting you. We provide a fun atmosphere as a means of motivating our clients. Our main focus for all three gyms is to keep membership manageable so that we can give you the personalized attention you require. We come from a training background, and specialize in helping you grow. Contact us in Blue Ridge or Ball Ground for a complimentary consultation to discuss you goals and see which Advocare products would enhance your exercise program and compliment your daily routine.